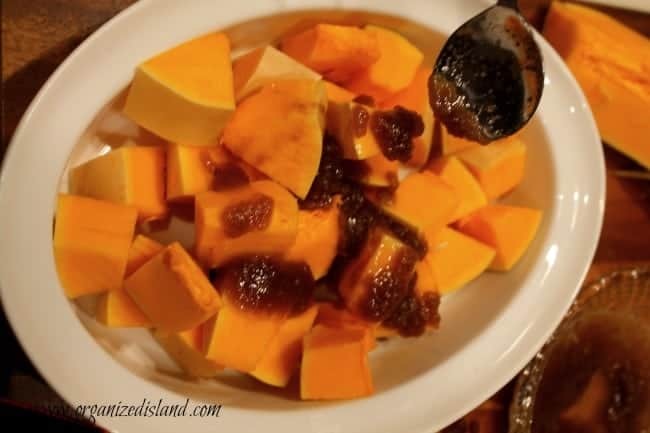 An easy recipe for sweet baked butternut squash with brown sugar, baked in the oven for a sweet vegetable side dish for a fall supper. One of the things I love about fall is the abundance of apples, pumpkins and squash at the farmers markets and grocery stores. There is something so comforting about cooking and baking with these ingredients that make the season special. Some of my favorite recipes this time of year are Pumpkin Cheesecake cookies and Pumpkin Pepper Soup. 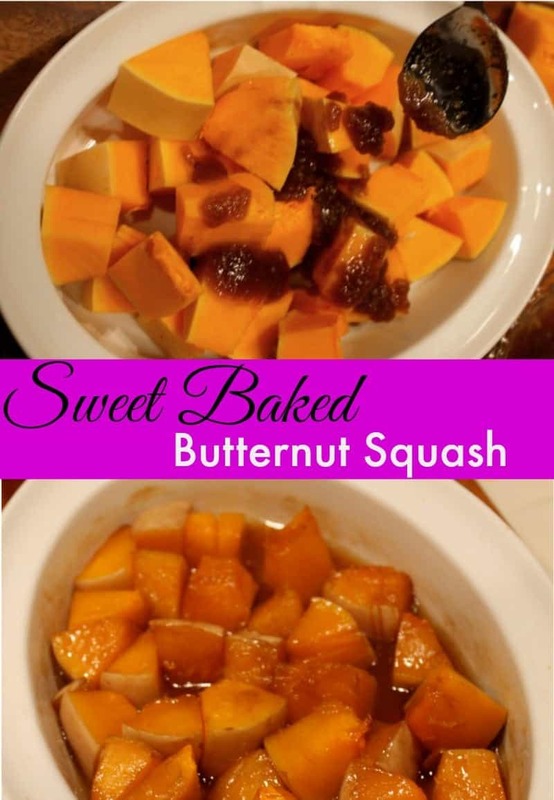 I found a great deal on squash at the market, so I made Sweet Baked Butternut Squash in the oven the other evening. 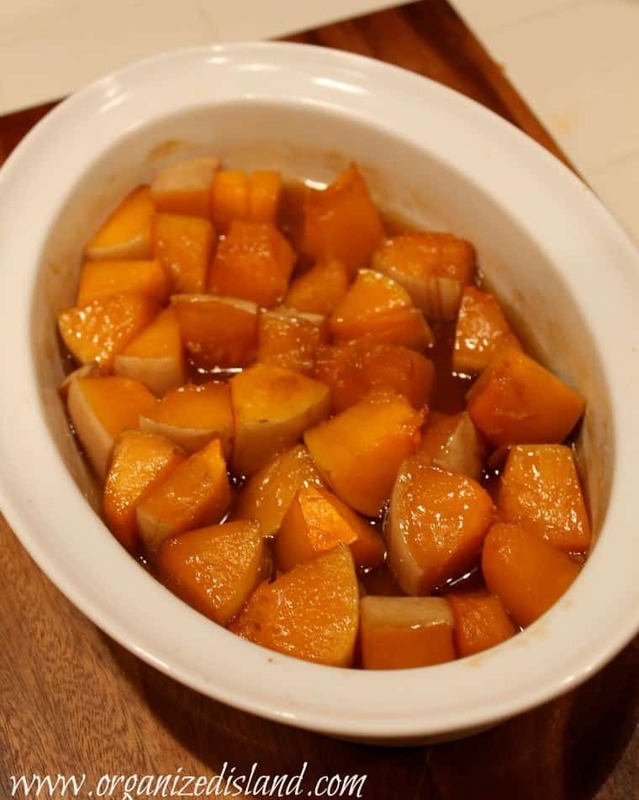 Butternut squash is different from the summer squash because of its hard skin and pumpkin-like features. I like it because I find it heartier than say, zucchini or yellow squash. It is a little trick to cut, so be careful when cutting it up. I do not peel my squash when baking in the oven, but you can if you prefer. This is a super simple recipe that can be built upon, but sometimes I love the simplicity of just being able to enjoy its natural flavor. Wash the exterior of the squash and pat dry. Even if you are going to only eat the interior, you always want to wash them to avoid contamination with a knife. Cut off ends fo the squash. If desired, peel the squash with a potato peeler. 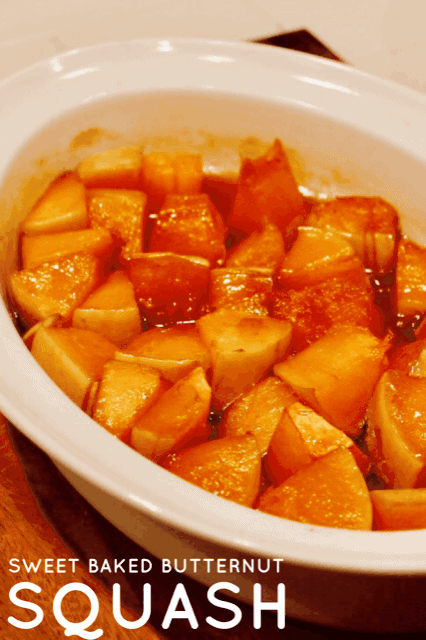 Cut squash inCut into cubes (about 1 – 1 1/2″) and place into a casserole dish or baking pan. In a cup or bowl, mix butter and sugar together, then pour over cubes and toss to coat. Bake in oven 20 minutes. 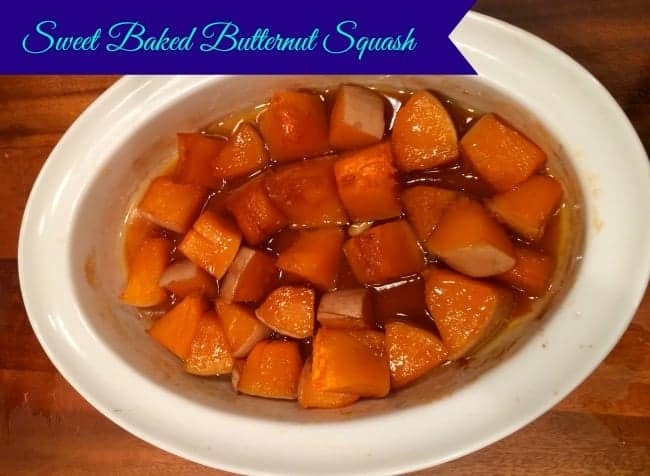 Stir squash and bake an additional 20-25 minutes. Sprinkle with salt and serve. Serves 4. 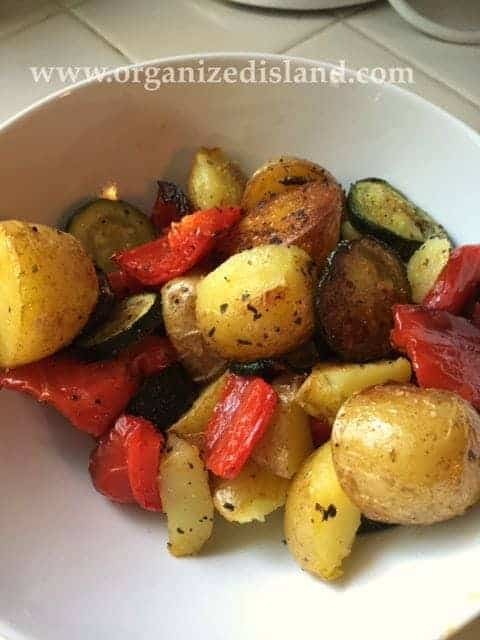 Try these Roasted Peppers and Potatoes – They are a great way to bake fresh vegetable in your oven very easily! What is your favorite fruit of the season? Yum. This could even work with the pre-cubed ones at Trader Joe’s. And yes, I’ve been that lazy before! This is one of the few vegetables my kids will eat.